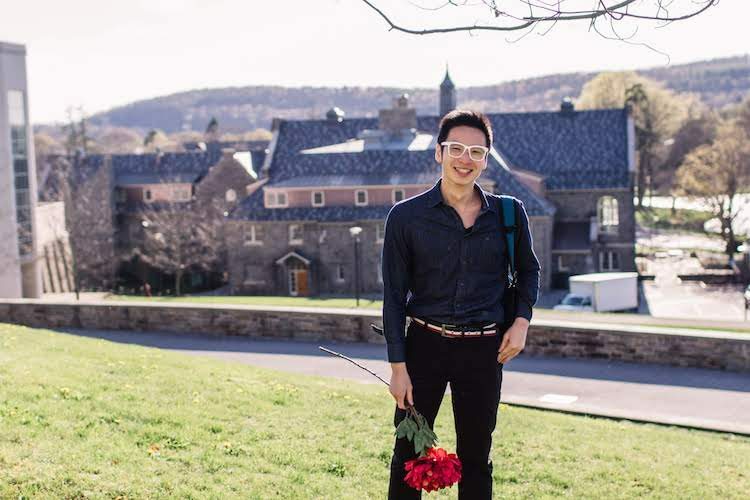 Editor’s note: This post was written by Alumni Memorial Scholar Bobae Kang ’16. Back in the summer of 2015, I had no idea that I would be writing code for a living. At the time, I was in Las Vegas, Nev., completing fieldwork for my Lampert Institute Fellowship. I spent those months interviewing residents and perusing historical documents to analyze how casino operations shaped the flow of students, educators, resources, and information into the local school district. Today, I work in Chicago, writing computer programs that analyze hundreds of thousands of crime records. I develop web applications to share research findings at a local government agency more effectively. I had no shortage of opportunities to explore a wide range of topics at Colgate. As an Alumni Memorial Scholar (AMS), I spent a summer in Seoul, South Korea, examining English-immersion schools, reflecting on my home culture and the status that comes from speaking fluent English. I spent a winter in Palm Beach Gardens, Fla., where I watched pets being pushed in baby strollers on streets, in shopping malls, and supermarkets — evidence for AMS-sponsored research into the changing modern human-animal relationship. My confidence led me to pursue a master’s degree in computational social sciences at the University of Chicago. Continuing to explore eclectic topics that demanded new skill sets, I investigated the usage patterns of a bike-sharing service in Chicago. Today, I am yet again in a different place — a state government agency — in a new field of web development. In addition to supporting traditional research projects, I am introducing my colleagues to modern computational tools and creating services to facilitate data sharing. So, here I am, writing code all day instead of doing interviews or conducting ethnographic fieldwork as I often did at Colgate. A lot has changed since then. I now read books with titles like Designing Data-Intensive Applications and Bayesian Data Analysis instead of the tantalizing writings of French philosophers and social theorists. However, I still have fun exploring new topics, learning new things about the world each and every day. I’m not afraid of getting into new areas and asking new questions. What’s next? My ambition is to inspire the Illinois government to embrace a more open future in which more state criminal justice data are made publicly available. This approach will further empower researchers, students, local organizations, and other concerned citizens to ask and answer critical questions, share knowledge, make informed decisions, and develop evidence-based policies. To that end, I am currently building a data portal website for my agency to share its research data and findings. I am also planning to build APIs that allow people to query the state’s criminal justice database without jeopardizing the privacy of any individuals. If this fantastic plan of mine doesn’t work out — hey, that’s okay, too. After all, I’m not afraid of getting into new areas and asking new questions.